Frets are interesting little guys. No, the photo's not in backwards. It's a left handed Taylor 710. A snagged first string is really annoying, but at leas it is obvious what's wrong. One problem is that frets are sometimes not so obviously loose. 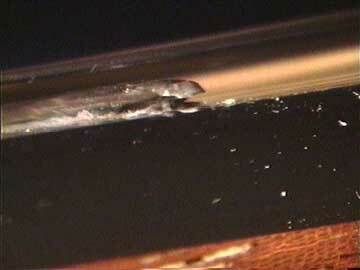 Another problem is that a snagged first string is the least of the nasty things a loose fret can do. Most often a loose fret sticks up a little and causes buzzing because the string bumps right into it when fretted "downstream" from it. 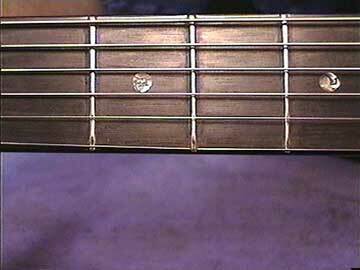 See the bit on uneven frets for more clarity on this subject. Loose frets can REALLY kill tone. Sometimes a fret will be loose but not sticking up, so buzzing isn't much of an issue. But the fretted note sounds "dead" or dull because the fret isn't doing its job. 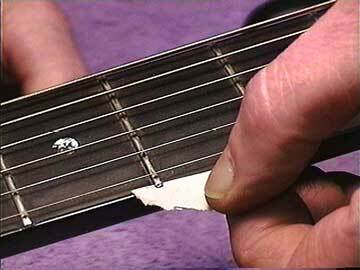 Pinching a string against a really loose fret is about as useful as pinching it between your thumb and forefinger. 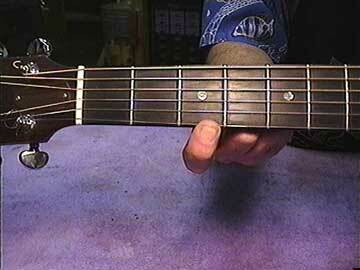 To get clean tone, a fret must be bedded down firmly in the fingerboard. It's a simple as that. If you have one super dead note on a fingerboard, and no buzzing, I'd be looking for a loose fret. Could be a lot of them, too. The cure for a loose fret is either to glue it in place with cyanoacrylate, or to replace it with a tighter fitting fret. The best repair is usually a complete refretting because if the fingerboard has shrunk microscopically to allow a fret to come loose, others are on their way. Naturally, it's a matter of scale (pun intended) so you wouldn't refret a guitar that has only one loose fret unless there were other good reasons to do so.